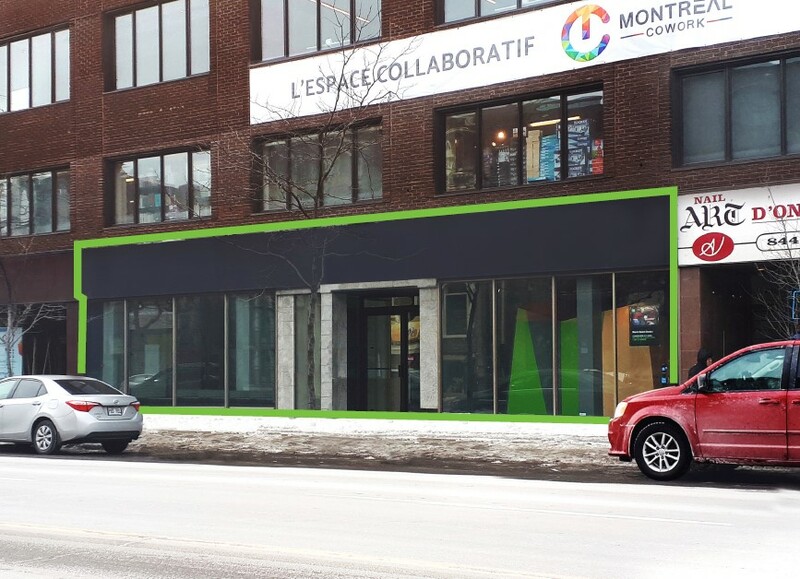 Amanda Angela Herbu and Christopher Rundle at CBRE Ltd in Montreal are marketing for sublease the former Mountain Equipment Co-op location at 4394 St. Denis St., south of Mont Royal Ave East, in Montreal’s Plateau area. Available immediately, the street level unit is 5397 square feet and is available until September 30, 2022. Over 2000 pedestrians and more than 18,300 vehicles are by the site daily. About 43,900 people with household incomes averaging about $82,000 per year are in the immediate trade area. The medium age is about 35-years. Marcel Blouin at Intella Inc. reports that premises in the redevelopment of the former Sears location, adjacent to Place du Saguenay, in Chicoutimi, will be delivered to tenants in May. Located about 200 kilometres north of Quebec City, the 100,000 square foot former department store is being redeveloped to accommodate large format uses in the 3000 to 6000 square foot range and in larger format 15,000 to 22,000 square foot units. Combined, the units will have about 580 feet of frontage onto Talbot Blvd. and facing Place du Royaume regional mall. Home Sense, Globo, Bulk Barn, Dormez-vous, Rose-Bonbon and an Eggsquis breakfast restaurant are scheduled to open and agreements are being finalized with two other national tenants. One unit of 10,688 square feet remains available and Blouin suggests sports or home furnishings as potential uses. The adjacent Place du Saguenay is anchored by an IGA. The population in the region is about 280,000 people. 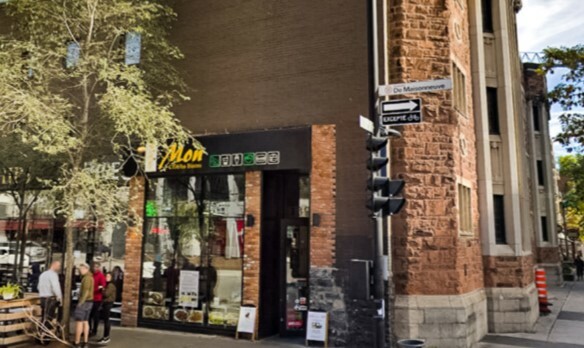 Amanda Angela Herbu and Christopher Rundle at CBRE Ltd in Montreal are marketing for lease a former restaurant/bar at 1396 de Maisonneuve Blvd. West in downtown Montreal. The 1300 square foot unit can be available with 45-days’ notice. 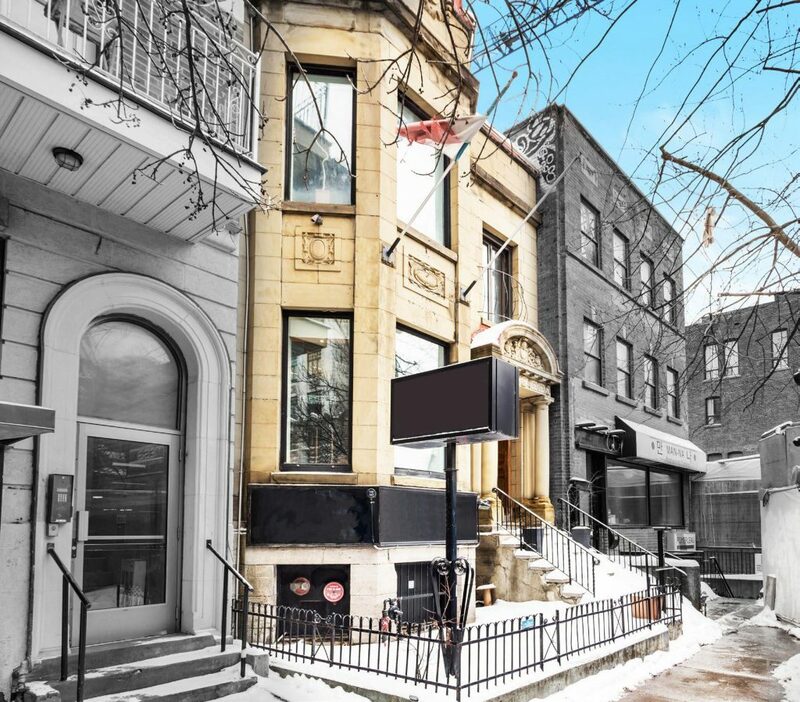 The street front site is near Concordia University and neighbouring tenants include Notre-Boeuf-de-Grace, Brit & Chips and Pigeon Espresso Bar. About 34,700 people are in the immediate area and the median age is about 31-years. Over 6800 pedestrians and more than 5600 vehicles are pass the site daily. 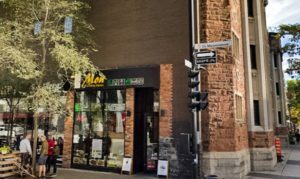 Amanda Angela Herbu and Christopher Rundle at CBRE Ltd in Montreal are marketing for lease a turn key resto/bar unit ay 1424 Bishop St., between St Catherine St West and Blvd de Maisonneuve West in downtown Montreal. The 4789 square foot unit has 1619 square feet on the street level with about 24 feet of frontage, 1617 square feet on the second level and 1553 square feet on the basement level. Steps from Concordia University, the unit is available immediately. About 38,200 people are in the immediate area and the median age is about 32-years. Over 13,000 pedestrians and more than 6100 vehicles are pass the site daily. 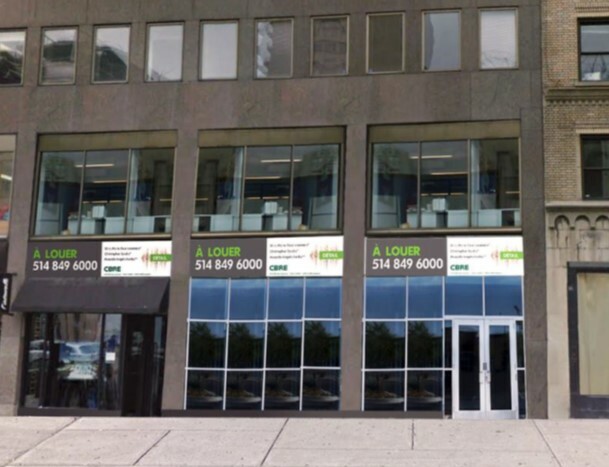 Amanda Angela Herbu and Christopher Rundle at CBRE Ltd. in Montreal are marketing for sublease a 9766 square foot street front location at 1194 St. Catherine St. West, between Drummond and Stanley streets in downtown Montreal’s shopping area. The unit is on the south side of the street and features a 28-foot glass façade, a large skylight and 32 foot ceilings. Over 12,000 pedestrians and more than 6620 vehicles pass the site daily. Over 36,100 people are living in the area and the median age is about 33 years. Jordan Weitzman at Service 1 Shopping Centres is marketing for lease inline units of 1450 square feet, a 4340 square foot end cap location and a 1,685 sq. ft. pad unit with drive-thru at the Place Mascouche shopping centre on Montee Masson in Mascouche, an off-island suburb south east of Montreal. The units are available immediately. 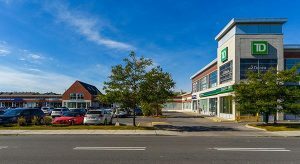 The 47,600 square foot neighbourhood plaza is located directly across the Mascouche Mega Centre and includes RBC Royal Bank, Boston Pizza, Party Experts, a new SQDC, etc. The site is in the midst of new residential developments and over 45,000 people are in the trading area. Amy’s is a new breakfast, brunch and dessert concept that, in addition to a large-portion breakfast and lunch menu that includes healthy vegan options, also offers a with selection of desserts and gourmet donuts. The new restaurant opened in November in a 2400 square foot, former Tutti Fruitti end unit location, adjacent to a TD Bank, in a plaza on St. Jean Blvd at Harry Worth St. in Pierrefonds in Montreal’s West Island area. Future expansion plans have not been reported while the company establishes the new concept. 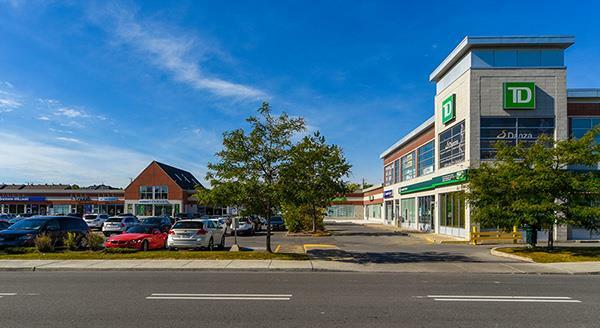 With the opening, only two units remain available in the Groupe Shapiro-owned neighbourhood plaza at 4794-4830 St Jean Blvd., just south of Pierrefonds Blvd. The remaining units are 900 square feet and 2500 square feet. 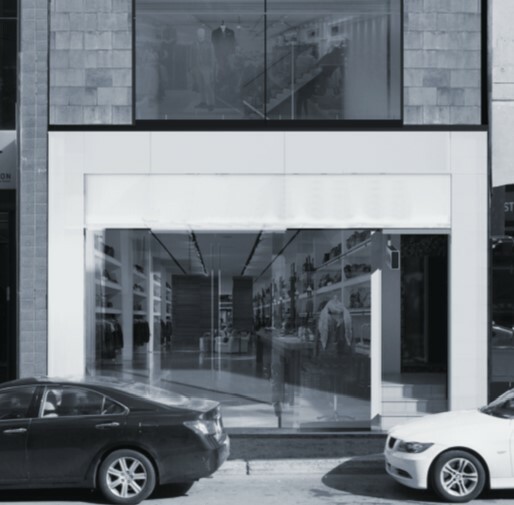 The suggested uses include retail, service and restaurants. The plaza is surrounded by an established neighbourhood of over 68,000 people with an average income range in excess of $88,000 per year. Steven Glazer at Groupe Shapiro is handling the leasing and notes that a new 2500 square foot spa/esthetician/massage studio is opening in March in the plaza. Developers & Chains is published by Paterson Communications and is distributed by electronic mail to the subscribers to the Developers & Chains source letter. The information contained is for the exclusive use of the subscriber and may not be reprinted, reproduced in any manner or re-distributed in any form without the written permission of the publisher.